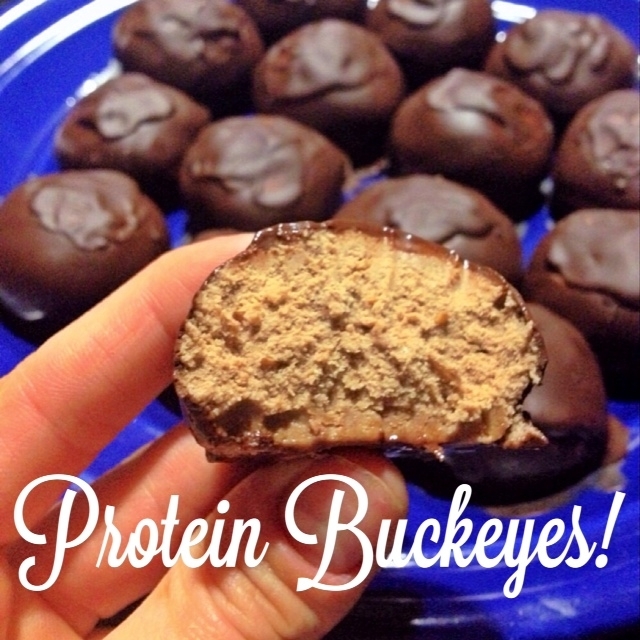 Satisfy your sweet tooth with a guilt-free high-protein treat! Best part... NO baking involved! Mix all the ingredients (minus the cacao chips) in a bowl with a spatula until you are able to form the dough into balls. If they start to fall/aren't holding together well - add more protein powder; If they are too dry - add more peanut butter. Place on wax paper and put them into the freezer for about 30 minutes to harden. Melt your cacao chips with a bit of coconut oil, then drench and enjoy!